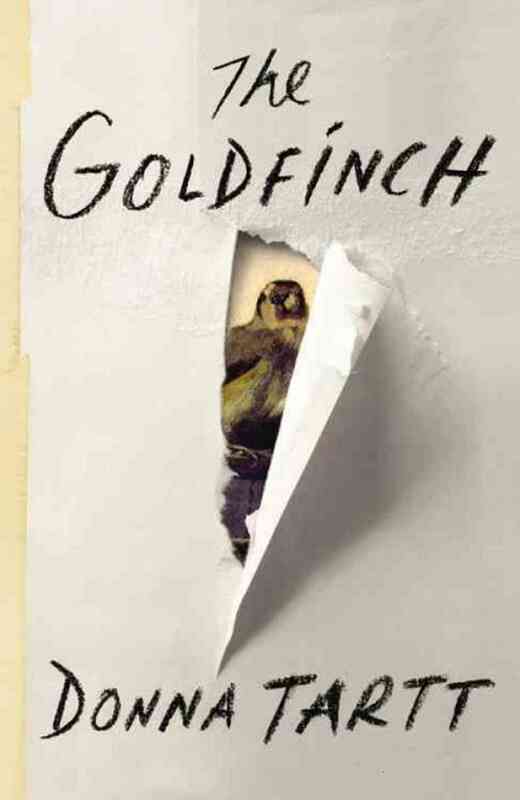 I made it through all 771 pages of The Goldfinch. That may sound as though reading it was a struggle. It was, occasionally, but I couldn’t abandon Theo Decker, even though things get awfully dark, because just about everyone else in Theo’s life lets him down one way or another. This doesn’t mean I don’t like the novel – I do, very much. But Donna Tartt’s fiction is a commitment, in the way I remember David Copperfield being a commitment when I read it in high school. You have to be a reader to take this one on, and a devotee of fiction, and willing to grapple with life’s big questions. Thirteen-year-old Theo and his mother, a lover of art, are in the Metropolitan Museum of Art when a terrorist bomb explodes. Unbeknownst to Theo, his mother is killed instantly, while Theo finds himself comforting a dying man in his last moments. The delirious man urges Theo to take the painting that has landed in the rubble nearby. In shock, Theo obeys, managing to find his way out of the museum clutching The Goldfinch, a priceless 17th century painting by Carel Fabritius. Theo is left completely alone. His alcoholic, flimflam artist father abandoned Theo and his mother some years before. So Theo goes to live with the wealthy family of one of his friends from school. Theo still has The Goldfinch in his possession, though no one knows. He can’t bear to part with it. Eventually, Theo’s father and his father’s new girlfriend whisk him away to a god-forsaken development in the Nevada desert, where most of the houses are in foreclosure or were abandoned, half-built, by the developer. Donna Tartt’s third novel is a serious, funny, sad, wicked story, which won the Pulitzer Prize. It takes her about ten years to write a novel; she has also published The Secret History and The Little Friend. I enjoyed her book The Secret History but have yet to make the big commitment to this one just yet. But I will ! The whole 771 … when I make the chunk of time for it. thanks! I think you’ll find this one is more hopeful (though you might not think that about half way through.) Thank you for stopping by. This is my summer read . . . so I’m especially glad to see your review. As you suggest here, good fiction is not necessarily a breezy read — but something compels you to stay with it. Thanks, Deb. I hope you enjoy it. Maybe read the article that just came out in Vanity Fair about this novel. Beautiful review. Love the last quote. I have this on my reading list, and your reveiw makes me want to get to it soon. I really enjoyed this book – I thought it a bit over long but excellent nontheless. I think it could have been cut a bit, too. Thanks Valorie… I keep seeing this book on the shelves and have wondered a few time if I should take the plunge… you’ve convinced me to take a closer look!